“I would have been in the streets. Project YouthBuild is an educational, occupational, and leadership program for young people with low incomes who have dropped out of school. Students have the opportunity to earn their high school diploma, multiple nationally recognized construction or CNA credentials, and a post-secondary scholarship; all while giving back to their community. Project YouthBuild students go through a competitive application process to be accepted into the program to ensure they are fully committed to their personal success. During the course of this intensive 9-month program, students spend 50% of their time in the classroom working on their diploma coursework, 40% of their time rehabilitating low-income housing, and 10% of their week in leadership activities. Project YouthBuild students have faced many challenges on their path to success, but our students are determined to persevere. Although the unemployment rate for young Americans ages 16-24 is twice the national average, nearly 75% of our graduates enter the workforce or post-secondary education immediately after graduation. Statistically, only 16% of high school dropouts who return to school end up earning their diploma. 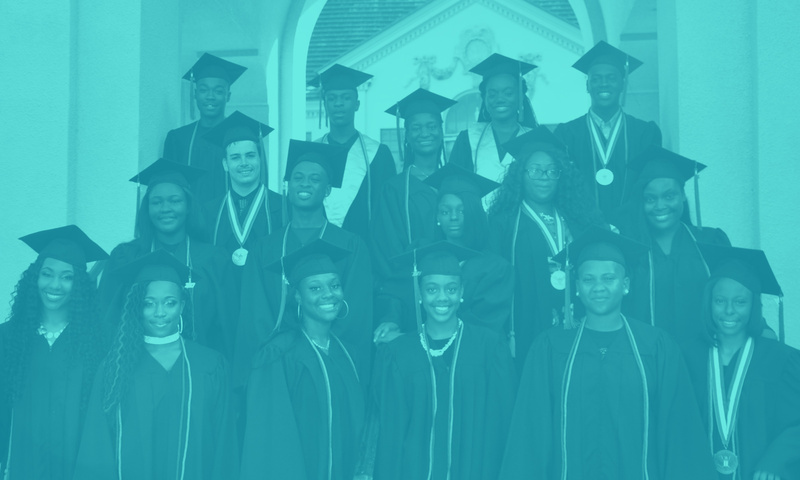 However, 93% of Project YouthBuild students have earned their HS Diploma. Over 60% of Project YouthBuild students have been involved in the criminal justice system as juveniles or adults prior to enrollment. Defying the statistics, the recidivism rate for Project YouthBuild graduates is less than 6%. Nearly 100% of PYB graduates have earned the Presidential Volunteer Service Award. Since 2013, students have volunteered over 50,000 hours (and counting!) in the Gainesville Community. That’s the equivalent of 24 full-time employees working 40 hours per week.